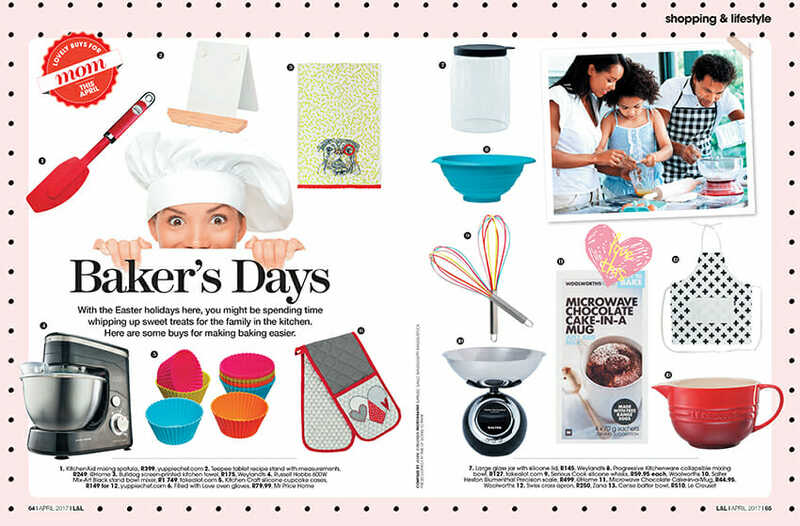 Mothers day is just around the corner and we are thrilled to be included in the Living and Loving Magazines “lovely buys for Mom” section in their April issue. Whether your mom has a sweet or savory tooth, our aprons make the perfect gift! Available in a few beautiful prints, there is bound to be one she will love! Shop our aprons online now. Thank you for the feature Living and Loving Magazine. We are now craving cake-in-a-mug!